However, the factors, such as the fear of device malfunction and its consequences, among others, may impact the market growth. Bionics are man-made devices that can be implanted or integrated into humans, to either replace a natural organ or provide support to restore specific function, or a group of related functions, helping the patient to return to his normal life. 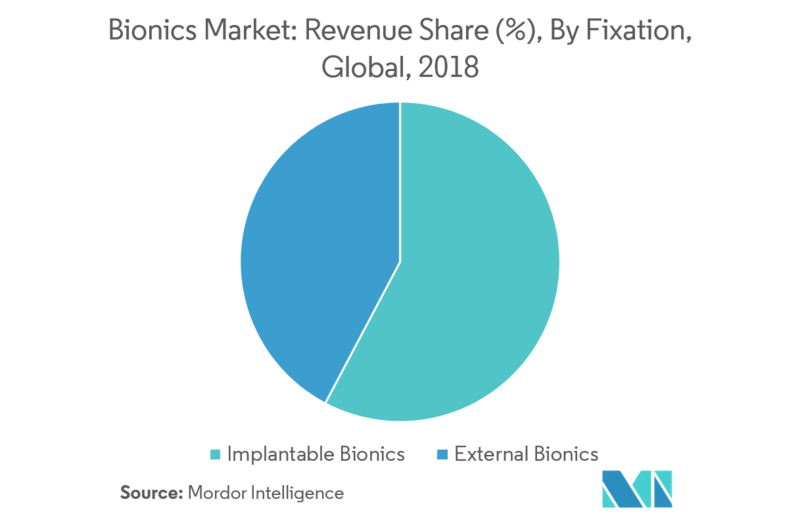 Implantable bionics held a larger share in the bionics market, in 2018, and it is expected to continue this trend during the forecasted period. This larger market share of implantable bionics is due to the increasing number of organ-failure patient base, as well as the increasing number of patients who are opting for organ transplants across the world. According to the US Government Information on Organ Donation and Transplantation, in 2017, there were 16,473 donors, 34,770 transplants, and 115,759 in the waiting list. Thus, the growing transplant waiting list cases are likely to boost the market growth. 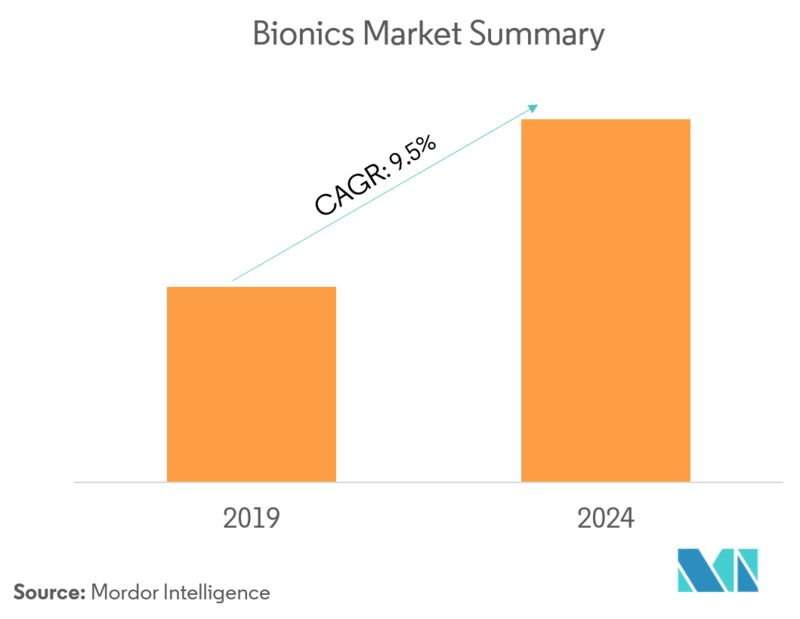 Currently, North America dominates the market for bionics, and is expected to continue its stronghold for a few more years. In the North American region, the United States holds the largest market share. 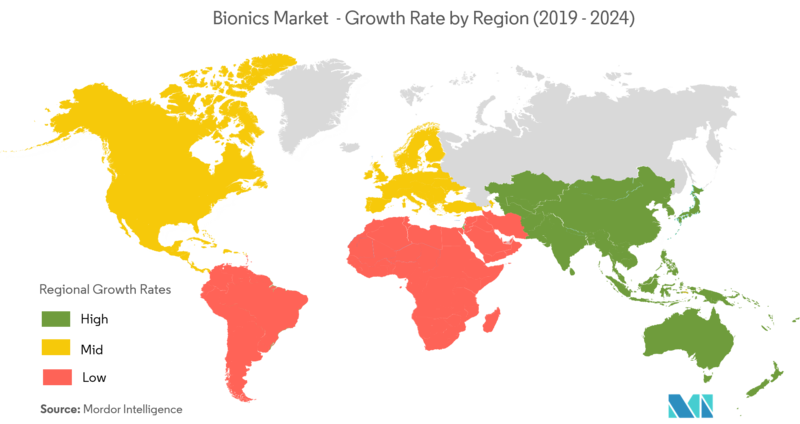 The rising prevalence of chronic diseases and increasing demand for non-invasive surgical procedures are helping in the dominance of the North American region in bionics market. The presence of developed healthcare infrastructure is also expected to propel the market. 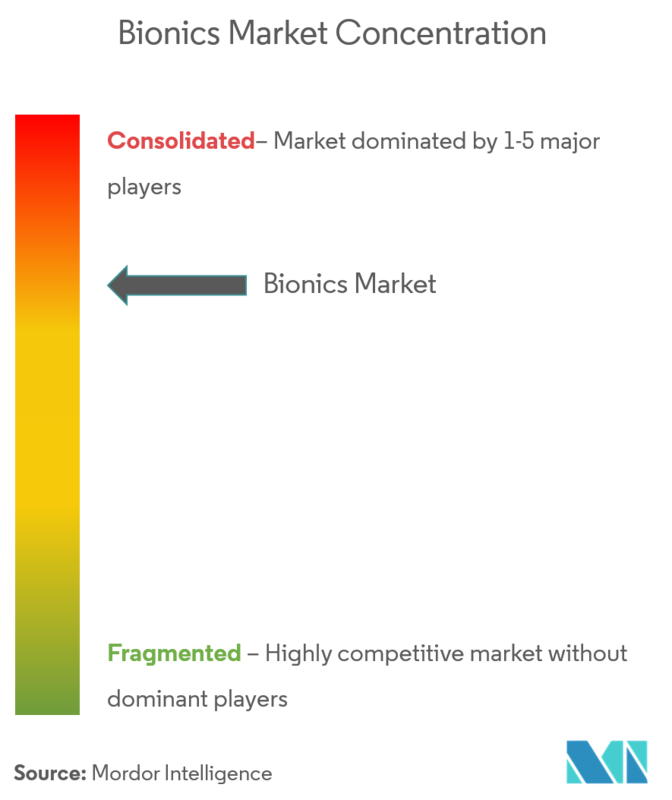 The bionics market is competitive and consists of numerous major players. In terms of market share, some of the major players currently dominate the bionics market. Owing to the rising adoption of medical bionics and an increasing number of people in need of organs, few other smaller players are expected to enter the market. Some of the major players of the market are Medtronic PLC, BD, Edward Lifesciences Corporation, Baxter AG, and Touch Bionics, among others.